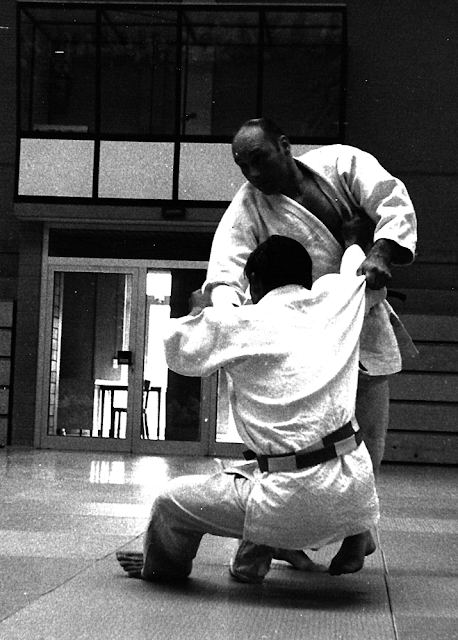 Naming conventions for martial arts techniques and kata vary from art to art. Some folks like the ultra-simple thing-1, thing-2 sort of ordinal naming system, while others like more descriptive names for things like, the "arm-crushing cross-shaped armbar," from judo. I personally like poetic names, like "Dragon whips its Tail" or "Willow in the Snow." An unfortunate result of poetic names is that none of y'all can understand what I'm talking about until we meet in person and I explain them to you. But the flip side of that is they are very evocative and memorable names, so once I do explain them, it's easy to tell students things like, "Let's work on A Chorus Line seoinage," and they immediately get it. If these weird-sounding names have teased you sufficiently that you want to hook up in person to work on them, let me know and we'll work something out.